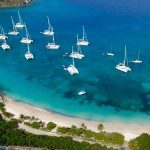 Why not enjoy BVI fishing on your crewed yacht charter? Some of the charter yachts offer fishing, so please check with us when you book. Fishing from your yacht can be very entertaining and lots of fun when you land the “big” one! There are a few things to know before you start. There are over 300 fish species in and around the pristine waters of the British Virgin Islands. You can either fish from the stern of the vessel with a hand line or fishing rod with bait or trawl your man-made lure while sailing offshore. In deeper waters it is possible to get sailfish, marlin, tuna, mahi-mahi, king mackerel, wahoo, jacks or barracuda. Around the anchorages one can catch snappers, groupers, triggerfish, spanish mackerel, bar-jacks and a variety of smaller fish. It is advised to catch and release unless you know the fish you catch is safe to eat. Please check with your crew for guidance. There is a poisonous disease in certain fish called Ciguatera and is a foodborne illness (food poisoning) caused by eating fish that is contaminated by ciguatera toxin. Ciguatera toxin is a heat-stable lipid soluble compound, produced by dinoflagellates and concentrated in fish organs, that can cause nausea, pain, cardiac, and neurological symptoms in humans when ingested. For this reason we highly recommend that you check with your crew. Every person holding a fishing device must have a fishing permit. Persons younger than 18 years of age do not require a permit. No spearguns or diving equipment may be used to fish or gather. 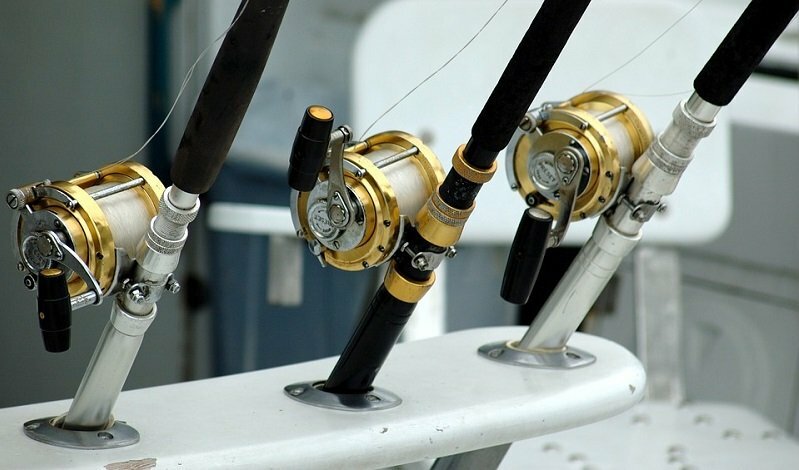 All vessels are required to have a certificate of registration and a fishery license when fishing in BVI waters. Each person intending to do some fishing while on the yacht will need to apply online and the application must be accompanied by a copy of a valid photo ID (passport or driver’s license). Contact us if you require any assistance getting your license before your charter starts or go to Last Stop Sports online and have your license emailed to you.